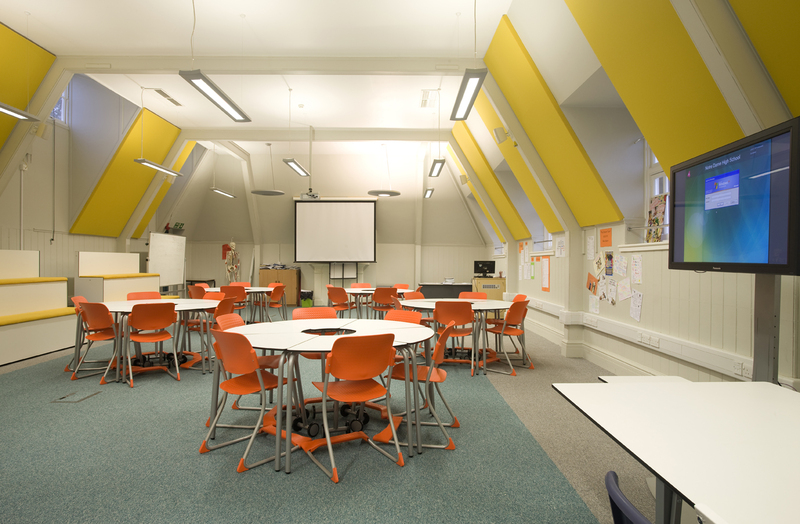 Notre Dame High School is an 11-18 Specialist Language, Science and Training School of over 1400 students supported by the Roman Catholic Diocese of East Anglia, Norfolk County Council and the DCSF. 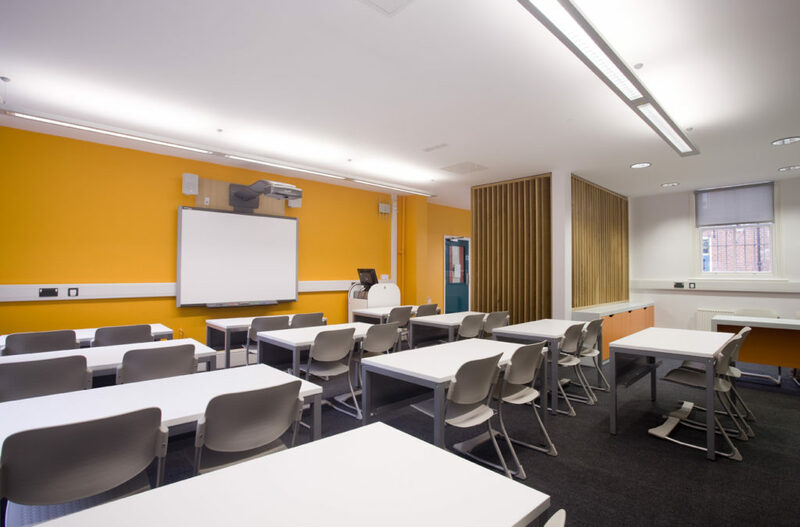 We were asked to work alongside a Norwich and London based architectural and interior design practice to undertake the refurbishment of 1no classroom and stairwell interpreting the design and brief required by the client. 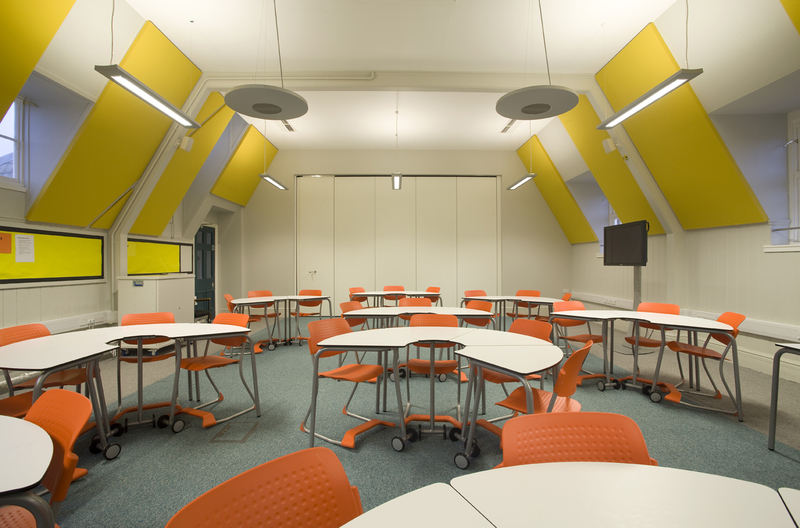 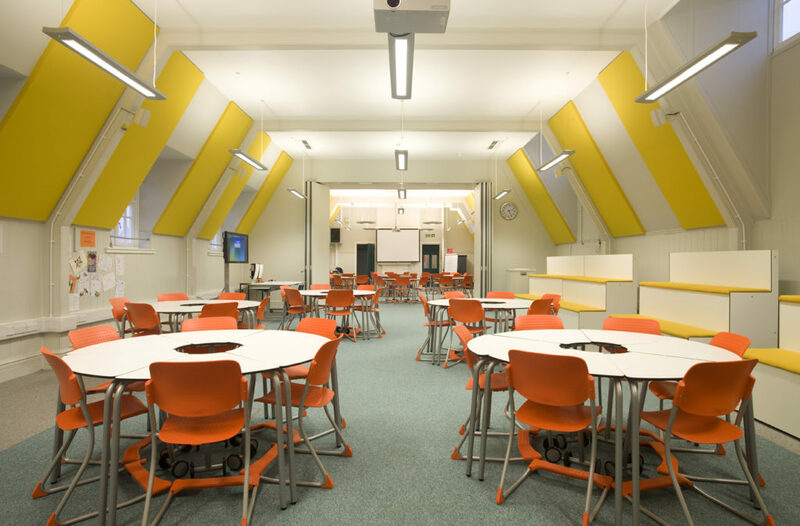 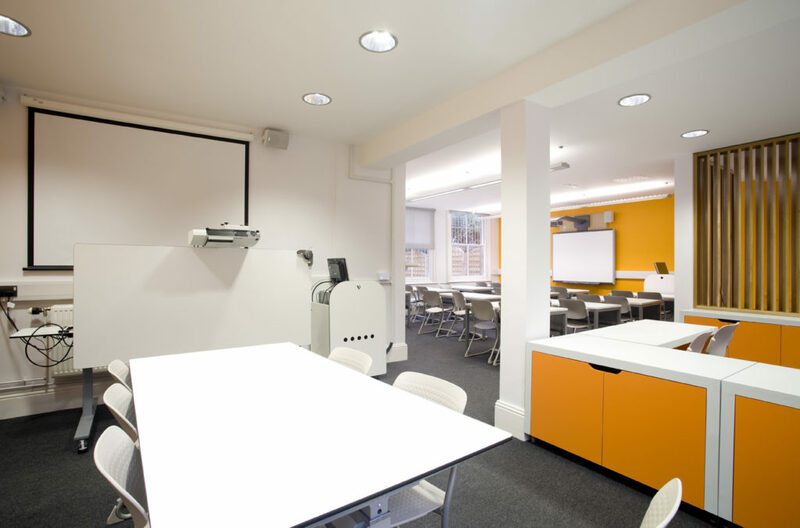 Our works on site included a complete strip out of the L31 classroom, contemporary bespoke furniture and the latest in educational/ICT furniture. 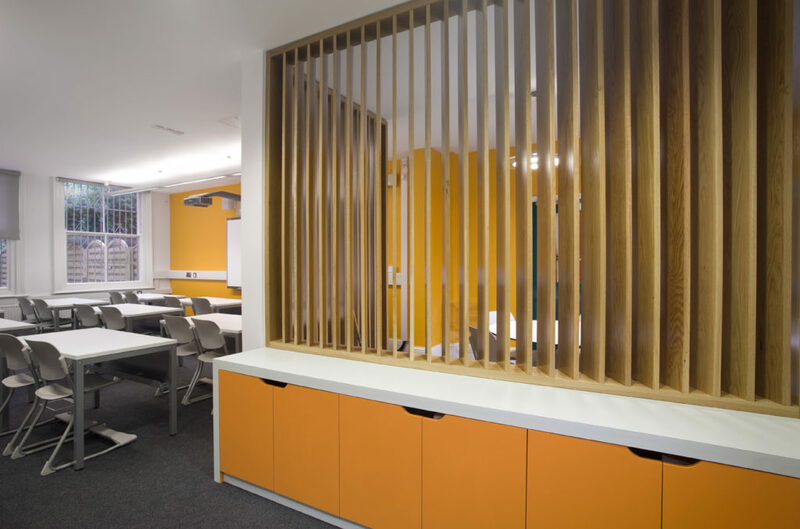 The works also included the complete decoration of the original stairwell of the Lady Julian building leading to the top floor multi-functional room. 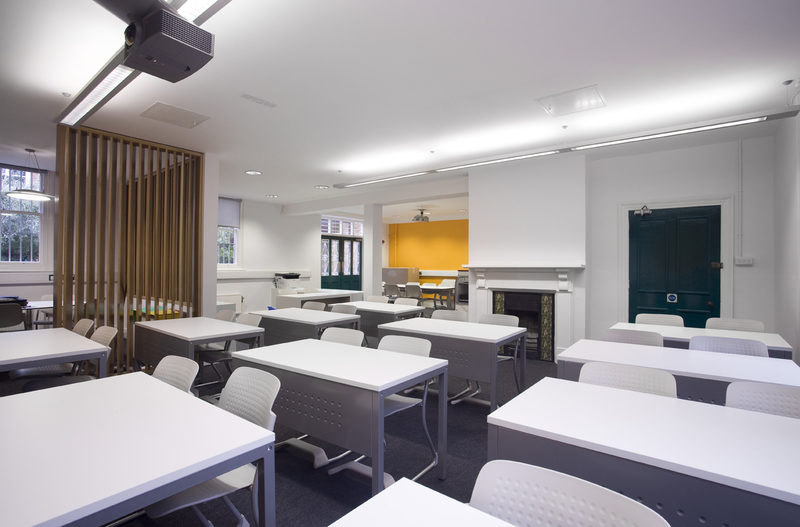 A huge challenge was to conduct the refurbishment of all 3 areas within the summer holiday period on time and within budget and complete the installation of new tables/chairs and work furniture all the way to the top floor of the Lady Julian building. 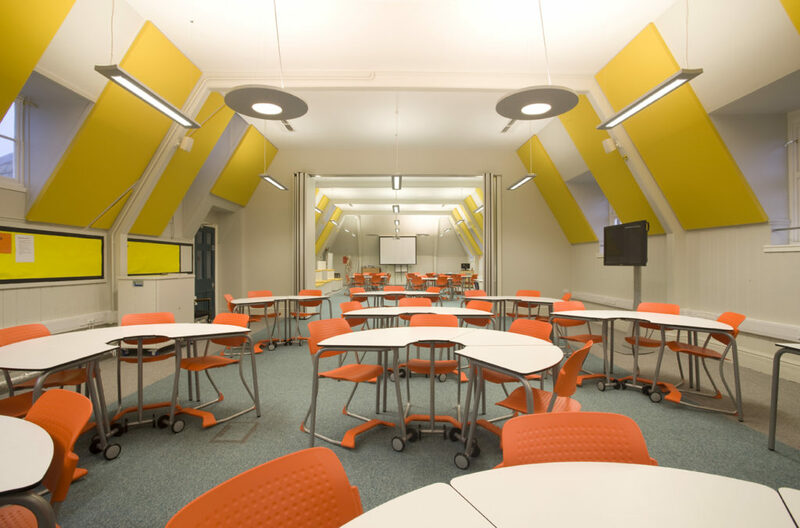 The innovative Newton chair from Orangebox and educational furniture from Isis Concepts were all used within the scheme alongside locally manufactured bespoke furniture.